Thanks to a Mercola article, which named an Ontario contact with respect to water fluoridation, a group has formed here in Windsor to take action towards removing fluoride from our water supply. The first meeting is being held on Wednesday, August 17th 2011. No doubt this will be a difficult task – but a worthy quest for certain – it is time for the fluoridation experiment to end. 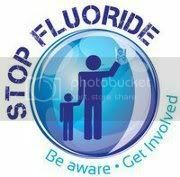 The purpose of this blog is to help educate and inform the Windsor, Tecumseh and Lasalle residents about the facts of water fluoridation and the real science without the propaganda. Also, to keep anyone interested informed about our progress. Windsor and Essex County are Fluoridation Free – and we like it that way! As Windsor Moves Backwards, What About the Rest of the County?